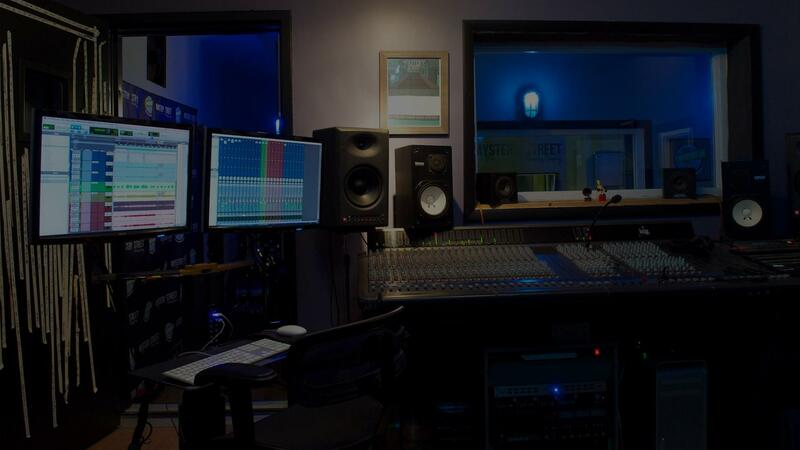 We're your creative and professional studio for recording, mixing, mastering, archiving, rehearsing, and so much more! Our team offers around the clock hourly rehearsal spaces that are stocked with a full back line for you to utilize and amp up your performance. Our studio is stocked with a carefully selected collection of analog and digital recording gear; plus our expert engineers will help bring your vision to life. We are stocked with rental gear to support your next event and operate your PA system, or to record you wherever you are. Recommended by the Library of Congress, our state of the art Audio Preservation lab offers an unlimited amount of format transfers. No matter the format, we will replicate what you bring us. I celebrated my son’s 10th birthday at Mystery Street! I was blown out my mind with such a great experience. All of my son’s friends say this was the coolest b-day party ever! "These guys are great! I went there to record some tracks for a special occasion. My engineer, Dan, and owner Joe, are top shelf people. Dan went out of his way to make sure everything was perfect. I am no singer, but Dan worked his magic, and it sounded amazing. Don't hesitate if you want to make a someone special, A recording is forever, and Mystery Street Recording will make it happen for you." "I worked with Joe on a classical music session. Working with him was completely fluid and positive all around. He has a professional attitude and brings a good spirit to his work. I will be working with Joe anytime I am in Chicago. Highly recommended!!!!" "Great hourly rehearsal space - staff is friendly and available and the equipment is reliable." "Mystery Street is an incredible place! I practice there with The Polkaholics and we have also recorded two CDs at Mystery Street. Both CDs sound GREAT - Joe and his staff always went out of their way to make sure we got the sound that we wanted. Plus, they work quickly, so it's all done at a reasonable price. They are incredibly efficient and professional. We LOVE Mystery Street!"